What does “forever” mean to you?  For Kestrel Land Trust, it means we are committed to caring for the land in the Valley for generations to come. After land is conserved, we must ensure that the purposes for which it was protected are honored forever. We call this “stewardship.” Good stewardship is about knowing land intimately, monitoring it annually, and managing it well. With hundreds of acres under our care, Kestrel’s many dedicated volunteers enable us to be good stewards of the land. The process that legally safeguards a farm, forest, or other type of land from development is the first big step towards being permanently conserved. But from then on, we must continually be attentive to how the land is being used, and be ready to resolve problems that might harm its condition or natural resource values. Caring for the land we conserve can also mean actively managing what’s happening on the property for the benefit of wildlife or recreation. Adding nesting sites for birds, enhancing habitat for rare animal species, removing invasive plants, or creating trails for people to explore are a few of the ways we can do that. Whether it is conserved or not, there are things you can do to care for your land, too. Learn about ways you can improve wildlife habitat, water quality, or plant communities on your land.